Cleveland businessman Ken Lanci withdrew his lawsuit against the NFL Tuesday pending the final outcome of a federal judge’s order Monday that lifted the owner’s 45-day lockout. according to Pat Galbincea of the Pain Dealer. Lanci filed suit March 24 in Cuyahoga County Common Pleas Court against the NFL, Cleveland Browns and the league’s 31 other teams, asking the court to prohibit the owners’ lockout of players that threatens to cancel the upcoming NFL season. Lanci said in the original suit that the lockout violates his private seat license contract with the Browns and jeopardizes his right to watch a full season of home games. 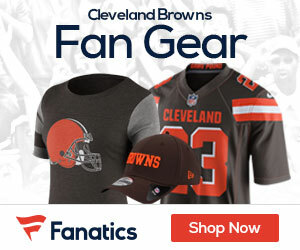 He filed a revised suit last Thursday to prevent the Browns from collecting Lanci’s ticket money during the lockout and prevent them from using a clause in the private seat license contract that Browns officials could argue excuses them from playing games in the event of a strike or labor disturbance. U.S. District Judge Susan Richard Nelson in Minnesota wrote an 89-page order, saying she believed the lockout is causing “irreparable harm” to the players. The NFL and its owners said it would seek an immediate stay of Nelson’s ruling and seek relief from the U.S. Circuit Court of Appeals in St. Louis.